Frontier Developments today announced that Elite: Dangerous Alpha testing is now underway for those that pledged their support to the successful Kickstarter campaign. The game launched its Kickstarter efforts towards the end of 2012 and quickly broke its £1.2 million goal, completing its fundraiser efforts on January 3rd 2013, finishing on over £1.5 million. It has since grown to boast investments of over £2.3 million with today marking the first opportunity for backers to experience the multiplayer open world approach to space combat and exploration. scale in the final game. It’s still possible to gain access to the latest batch of testing through a purchase on the official website. 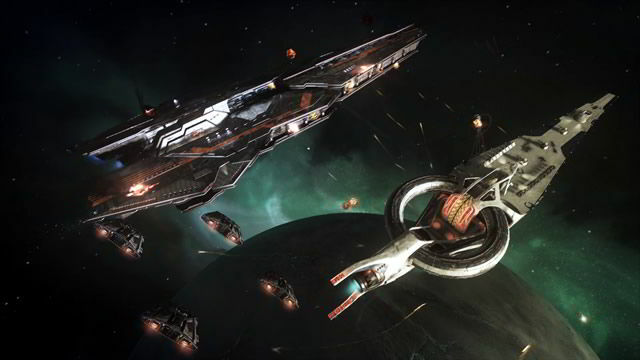 To make such a purchase or read more about Elite: Dangerous, you can visit the official website.